The Kira Collection by Ashley Signature Design Furniture is practical yet sophisticated design at its best. 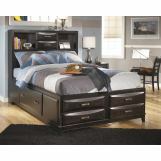 The options for under bed storage and even a bookcase headboard allow you to maximize even a minimum of space. This bedroom collection is perfect for children and students, with its minimalized features and inline layout making it very space-savvy. 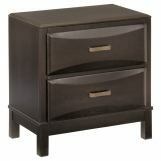 It is also a great choice for spare bedrooms or anywhere you need to make the most out of minimal furniture pieces. 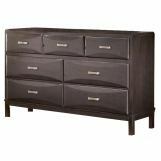 The Kira Collection features your choice of a standard panel bed or a bed with storage options, as well as a number of dresser and mirror selections. Purchase the pieces individually, or choose a set to give you everything you need at once. 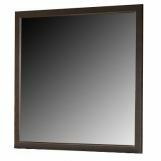 The dark wood finish will complement a number of decors, and is sure to look great with all bedding choices. 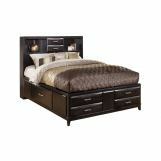 Bedroom Furniture Discounts is your number one source for bedroom furnishings from the world’s best designers. Our incredible selection is sure to please, whatever your style or budget. 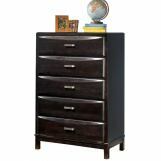 If you’re ready to turn your bedroom from ordinary to extraordinary, trust Bedroom Furniture Discounts for all of your décor needs.